Thai Sturgeon Farm Co., Ltd (hereinafter “TSF”) was set up on November 6, 2554 with a capital of 6.0 million Thai Baht; registration No. 0775554002068. TSF owns a land plot NS3 title deed No. 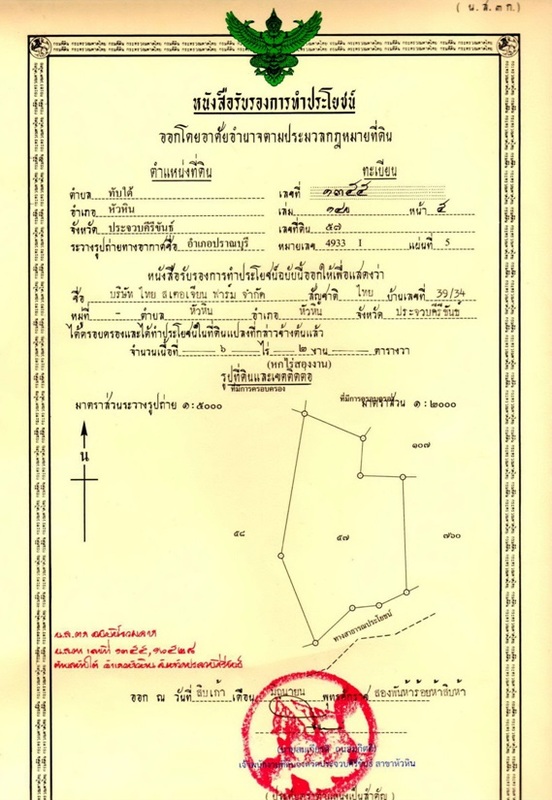 1355 land No.57 located in Hua Hin, Prachua Khiri Kham province. 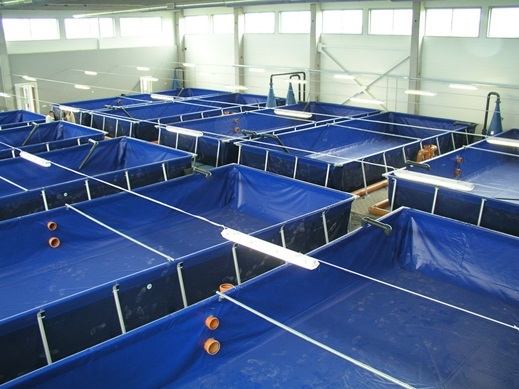 The aim of the project is to farm in closed recirculation aquaculture systems (RAS) siberian sturgeon (Acipenser Baerii) with the purpose of producing meat, caviar and value-added products for national and international markets; with a maximum production capacity of 1,500 kg of black caviar per year. Closed recirculation aquaculture systems farm consists of foldable fish tanks, mechanical drum filters, perfused bio-filter, oxygen generator, oxygenators, ozone generators, chamber of ozonation, adder pools and a pump system. Sewage system, Ømin = 200 mm. Using closed recirculation aquaculture systems allows the farm to decrease electricity usage, its actual space and fresh water supply. 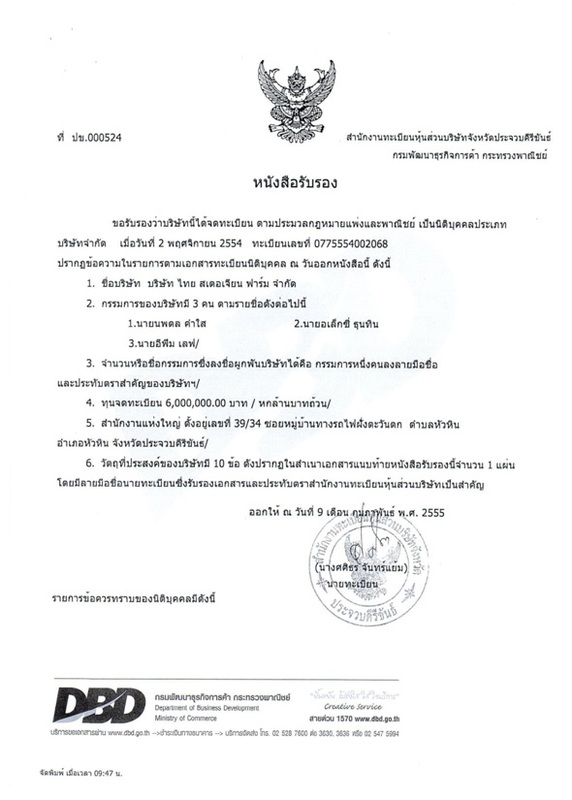 Certificate of registration of Thai Sturgeon Farm Co., Ltd.